Posted 22 October 2018 . 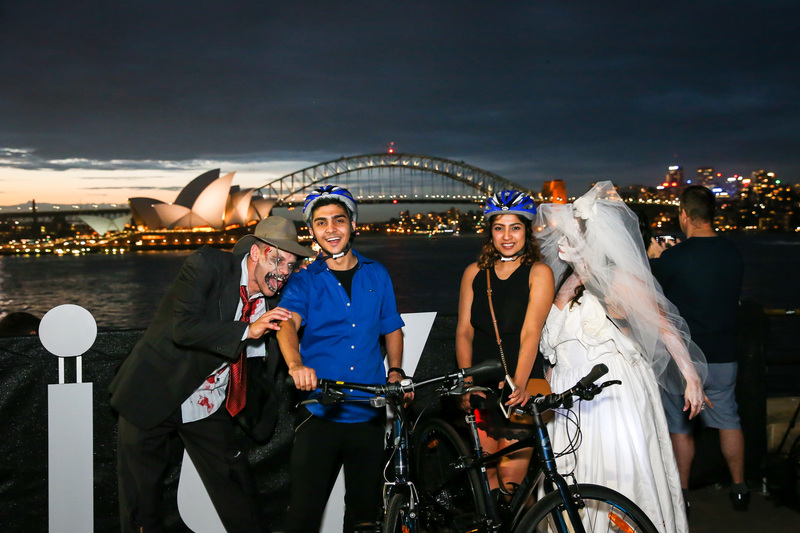 Spooks, spokes and special effects will transform part of the Sydney Harbour foreshore for the finale of this year's Sydney Rides Festival. For one night only Light the City will illuminate Mrs Macquaries Road for a traffic-free Halloween street party for ghouls of all ages on Saturday 27 October. 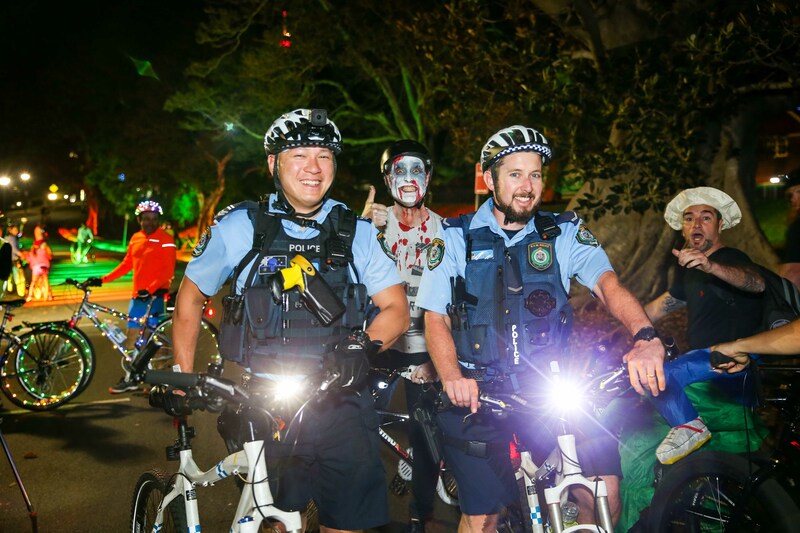 Lord Mayor Clover Moore said Light the City was the perfect way for families and visitors to get on their bikes and experience Sydney in a new light. "The Sydney Rides Festival is a month-long celebration of bikes and riding in our city," the Lord Mayor said. 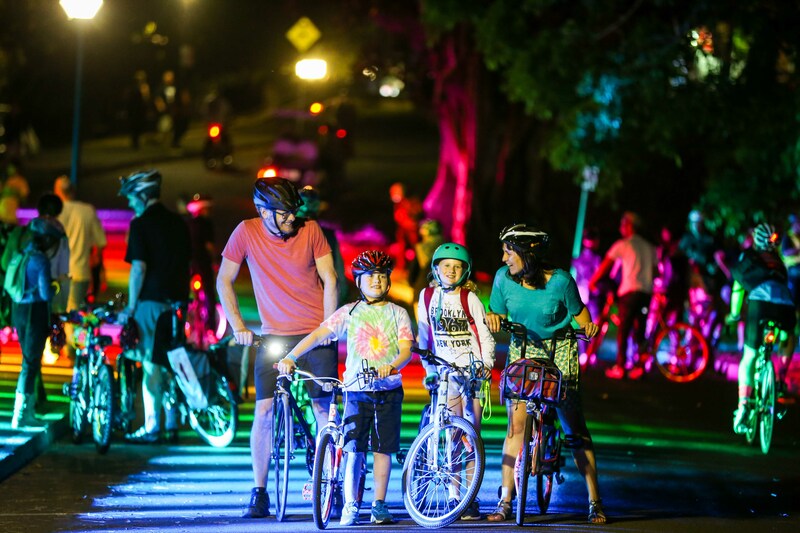 "Light the City is the most popular event at the Sydney Rides Festival for a very good reason - what other time can families take over Mrs Macquaries Road and walk or cycle through lights and lasers to an open air dance floor?" The 2.5km Light the City traffic-free loop will feature a glitter ball arena, a glowing rainbow path, a tunnel of twinkling lights and lasers, and animated light beams along Mrs Macquaries Road. This is a great opportunity to get into fancy dress with little ghosts and ghouls invited to join a Halloween costume parade at 7pm. To get everyone in the spooky mood, there will be roving entertainers, zombie dancers, face painting and bling-your-bike sessions. 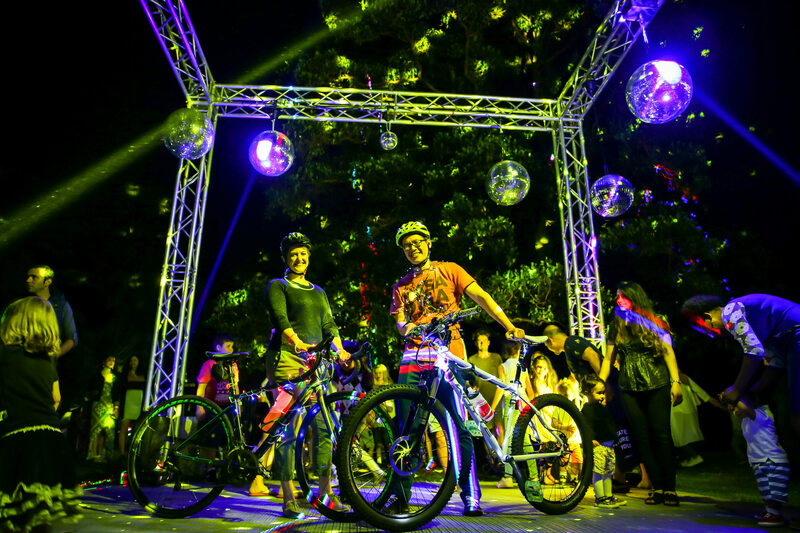 Festival goers can amp up the adrenaline at roller racing, dance the night away at a water-front silent disco and get a picture perfect souvenir from the Instagram printers. For dinner, they can have a picnic under the stars or a gourmet feast from some of Sydney's best food trucks in the outdoor lounge. The best way to get to Light the City is to walk, ride or use public transport. Bike hire and bike valet parking will be available on the night. St James and Martin Place train stations are just a short walk away. Light the City is the closing event of the Sydney Rides Festival, a month-long celebration of the number of people bike riding in Sydney, which has doubled since 2010. The festival is a chance for more people to join the movement at events throughout October, including bicycle speed dating, a photo exhibition, a mass ride across the Sydney Harbour Bridge and Sydney's biggest pop-up adventure playground at Sydney Park. Details: Light the City is a spectacular night time ride or walk, with creative lighting installations and Sydney's stunning cityscape as the backdrop. This year's event has a Halloween twist and will also feature an outdoor lounge with music, food and stalls by the harbour.